What I started to love about our agency was how close-knit everyone was. I believe everyone there was genuinely interested in what I was trying to do, and eventually proved to be very helpful. David Greenberg put me in touch with several people he knows in Los Angeles before I made a trip out there a few weeks ago, for a job hunt. My advice to students, who are interested in securing a job after their internship is to network and build relationships within your company. Do not assume everyone is happy to give you their connections, but if you are nice and wait for it to come, I believe most people will be willing to see you get further. Do not come out and ask if your supervisor “knows anyone” in Los Angeles, or New York, etc. Wait until you feel you have an honest connection with the person, and it will not be uncomfortable. Another issue I want to address is the timing of your internship. I figured I would save time, and do mine during my last semester. It turned out to be more than all right, although a job opening did come up during my first few weeks, which I had to turn down. Mr. John Kellogg advised that I wait to finish school before starting my internship, and as previously stated, for good reason. You can take every music business class offered, but the most important part is the real-world application and experience. Interning is what gives potential employers the confidence to hire you. In closing, I would like to offer a few last tips to aspiring talent agents like myself. As I said before, real-world experience is the only way to get ahead. While at TKA, David Greenberg passed on a great project for me, which was to manage a jazz singer and Berklee alumni, Gabriela Martina. He put me in touch with her, and I have been managing and booking her since. This was my first job as an agent and a manager, and I have already gotten tons of experience from it. As Jeff Dorenfeld stated in class once, “You learn from making mistakes in this industry. And once you make that mistake once, you won’t make it again!” This is entirely true. And once you start getting hands-on experience, you may make a mistake or two (which I have), but then you instantly realize your fault. Recently, I was approached by another band, Tiger Speak, for management. I have been working with them, and with David’s help, have designed great one-sheets and show flyers. Aspiring agents should have a strong networking ability, and be able to be social. I learned that having a good relationship with venue owners and promoters is also valuable, in the sense that if you are trying to book an unknown act, they will be more willing to take a risk with you. Overall, I had an amazing time interning at Ted Kurland Associates. As far as getting an internship is concerned, I feel I made the best choice possible. I was initially insecure about my decision, because I was accepted to intern at all three companies I applied to. At that point, I did not even know exactly what I wanted to do; now I have a strong feeling about what I am doing, and feel more confident than ever with my aspiring career. Avi Serfaty began playing guitar at age 12. He grew up listening to classic rock, alternative rock of the ’90’s, and virtuoso guitar players, such as Steve Vai, Joe Satriani, and Jason Becker. 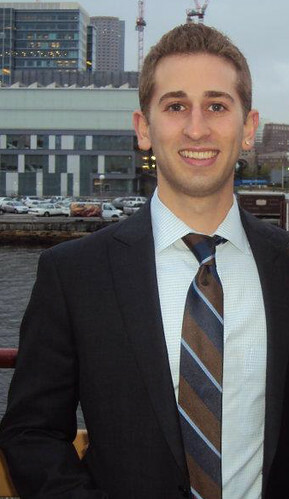 Avi was an active player in high school, becoming the lead guitar player for the school’s annual classic rock production. He gained more experience by attending the National Guitar Workshop summer camps in Los Angeles, where he got to take lessons, and even teach under the Canadian guitar legend Dave Martone. In addition, Avi was a teacher for the School of Rock in Virginia. Shortly after, Avi came to Berklee in the Spring of 2008. He started as a guitar performance major, studying with great teachers such as Tomo Fujita, Julien Kasper, and Joe Stump. Two years later, he entered Music Business/Management major. Recently, Avi started to dive head first in to the music industry. He interned at Ted Kurland Associates, and manages two great local bands, Gabriela Martina, and Tiger Speak. Avi is eager to become a key player in the music industry, and to soon be an agent in a major agency.